The actors in this movie do a wonderful job with mimicking the emotions that grip the audience as they too realize the horrific facts. every performance throughout the movie whether it be a major or minor character screams for empathy. 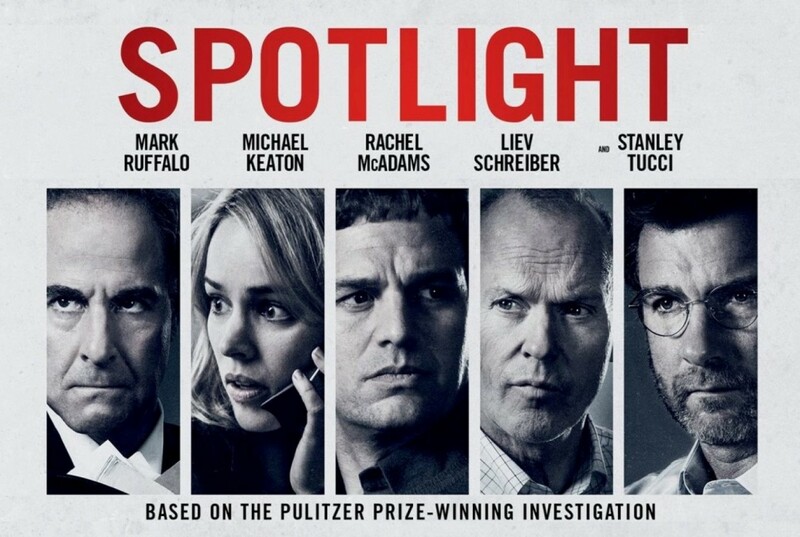 This film is very much influenced by the idea of racing against time–this in terms of getting the story published and written before any other newspaper, while also exposing corrupt priests as quickly as possible.Spotlight has been nominated for 6 academy awards of which three are dedicated solely to the cast. Each journalist plays their own role and brings a unique perspective for the story. Mark Resendez makes his mark as the eager, truth driven writer desperate to tell the story that has consumed his life. Sacha Pfeiffer (Rachel McAdams) comes off as the warm interviewer who is able to reach out to the victims willing to share their horrific experiences; and then Matt Carroll( Brian D’arcy James)– the family man who finds the sanctity of his home challenged. Finally Michael Keaton (Robby) also plays into the concept of time by making the team wait until they can deliver the story right. He is the fearless leader and editor of the group serving as a glue of sorts–keeping the unique personalities of the team on the same page. There is one quote that stands out in this film, that being “If it takes a village to raise a child, it takes a village to abuse one” the story went down in history because of its sheer size and elaborate scheme to keep victims silent. While Spotlight and the investigation itself isn’t an attack on the catholic church per say they are a tribute to the corrupt nature of any institution–even those we deem holy. It builds a deep appreciation for journalists without putting them on pedestals in fact acknowledging their flaws. While this fact-based thriller is a slap in the face it is definitely a must see!